Tempted and Future Excess is a remastering of an older multi-movement instrumental industrial piece, Tempted, and 2 additional conclusion pieces. 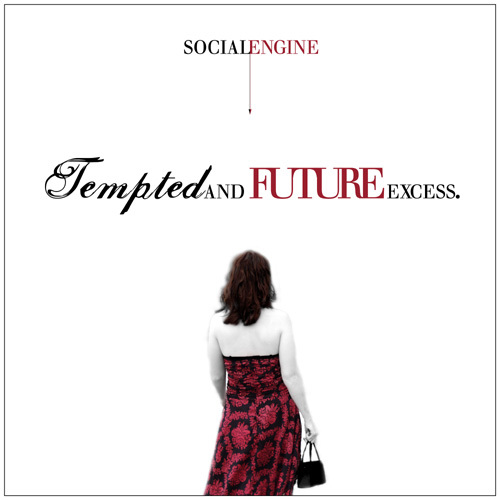 Featuring Social Engine's classic dark piano and orchestral themes with more traditional industrial stylings, Tempted and Future Excess is a staple of Social Engine's history. Originally released on Amazon, iTunes, and other music services, it is now available for free on this website. Tempted was originally a treatise on sin; composed during a time when WFL was questioning his own religion, the musical themes evoke thoughts of failure, pain, and the potential thoughts regarding a non-existent spirit. Download the entire record for free!